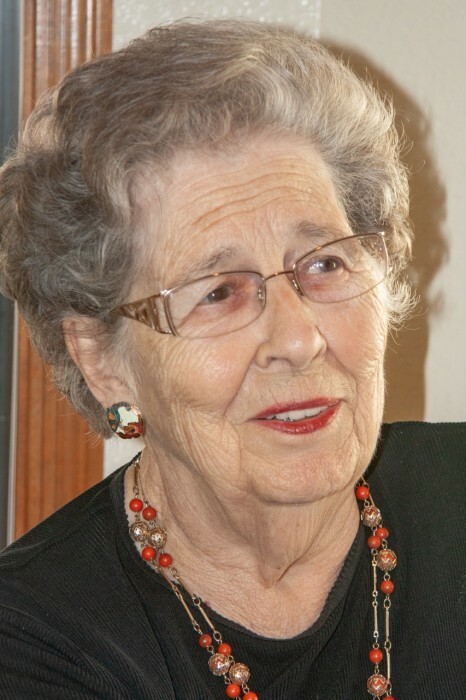 Ariel M. Watson of Scottsdale, Arizona, passed away peacefully in her home on January 28, 2019. Born as Ariel Marguerite van Horn on July 3, 1922 in Ithaca, New York, she married her childhood sweetheart, Lester W. Watson in 1942. He preceded her in death on September 16, 2000. Most of her friends called her “Meg”, a nickname given her by her beloved husband, Les. After their marriage she worked for the next five years as executive secretary in New York City for the Chemical Bank & Trust Company. Following a move to Connecticut in 1960 Meg was appointed as Clerk of the East Lyme Probate Court in Niantic, CT and held that position until 1977. The family then moved to Scottsdale, Arizona where she subsequently became a secretary in the Office of Sponsored Projects at Arizona State University, retiring as Office Supervisor in 1990. Survivors include son John and his wife Cheryl, son Jeff and his wife Martha, eight grandchildren and five greatgrandchildren. Son Michael passed away in 1974. She will be deeply missed by those left behind and joyfully welcomed into Jesus’ arms! A Memorial Service will be held at 10:00 am on Saturday, February 23, 2019 at the North Scottsdale United Methodist Church, 11735 N Scottsdale Rd, Scottsdale, AZ. Because of her love of animals, in lieu of flowers, donations are requested to be made in her memory to the Arizona Humane Society or to any no-kill shelter of choice.